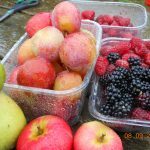 September brings the start of Autumn but still good things to look forward to since the Victoria plums and apples are ripening, The autumn raspberries are now in full flow and maybe next week we shall have the first of the sweetcorn. Today the last of the main crop potatoes were dug up; varieties Desiree all being a good size and with hardly any scab and the ever popular Pink Fir Apple. We grew Golden Wonder in a large tub but the crop was small, probably due to the lack of watering. 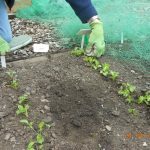 The peas and broad beans are now over so the stalks were cut off at ground level leaving the roots with the nitrogen nodules in the soil. The grass had another cut and the hose was out to water everything since the soil is quite dry. 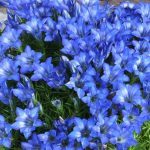 Open Saturday 13:00 – 16:30 and Sunday 12:00 – 16:30. 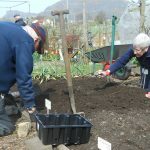 Always a great show of fruit and veg, dahlias, home baking and crafts – and delicious cakes for the teas. Those raspberries look fabulous; which variety are they? 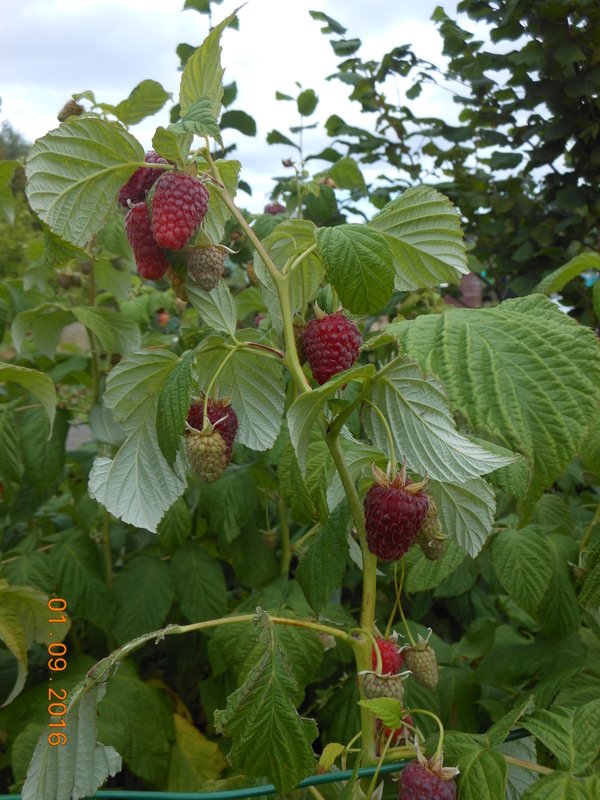 The variety is the autumn raspberry Joan J, up till now this has been much the best, but there is a new one on the market which is supposed to be even better which the team are going to get for the allotment and will test to see if that is true.